I hired Scott to perform for a community event for over 500 people. His spectacular act exuded professionalism and immense technical skill. The children will certainly not forget his hilarious egg juggling routine in which he scrambled 2 dozen eggs all over his body. His antics and clever use of audience participation had the audience rolling in the aisles. Scott's outrageous fire juggling was quite an unforgettable finale. 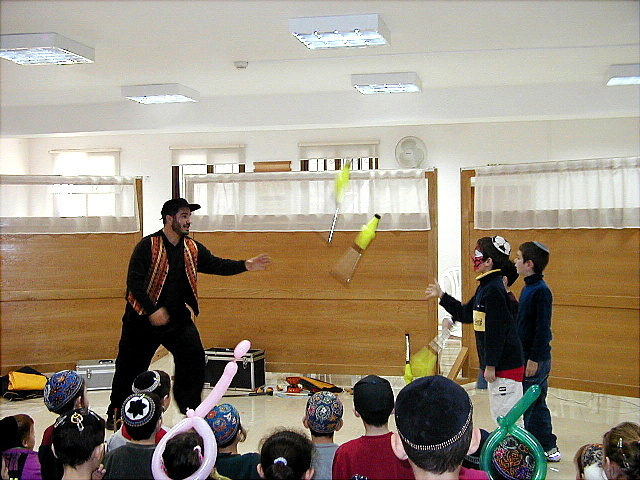 Of all the performances at the last few Israeli juggling conventions, Scott's routines are the most memorable. I was amazed at Scott's versatility! When I heard 'juggler', all I thought of was juggling balls. 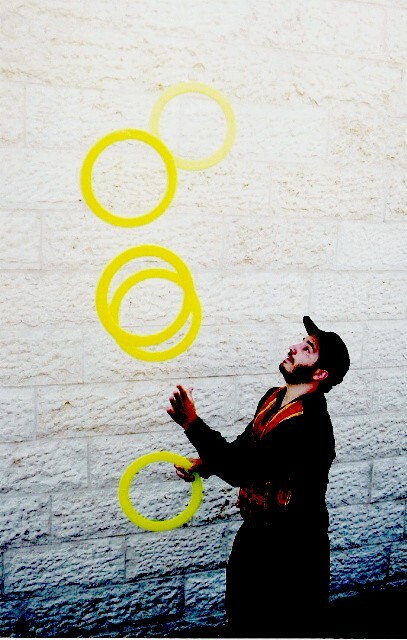 Scott's abilities go way beyond that - including clubs, fire, the big 'Yo-yo thing' [diabolo] and much, much more. He combined skill, audience participation and humor to keep well over 500 people entertained and entranced for his entire act. We were very pleased with his performance and would invite him again for a future event. We had Scott perform at our bat mitzvah. 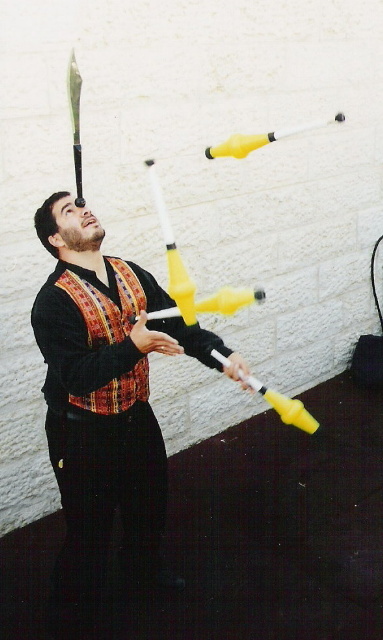 His juggling act was really top notch. We all, kids and adults alike were captivated by his egg juggling act. Everyone was truly impressed by his first class and delightful repertoire. We would highly recommend him to everyone for any age. We really loved your performance. Thank you so much for your performance on Chanukkah. The show was outstanding and nothing short of brilliant and fun! The near 120 children in attendence were completely spellbound, and keeping that many kids ooh-ing and aah-ing for a full half hour takes some serious talent. 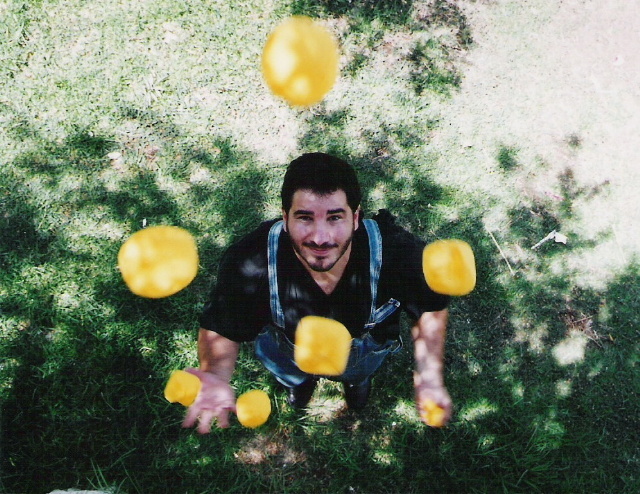 The egg juggling, apple eating between whilst juggling and fire throwing were by far my favorites, but that doesn't mean that your 3, 4, 5, 6 and even SEVEN ball juggling, diabolo act and umbrella juggling weren't exciting also. The comedy tossed in was the topping on the cake. A real winning act that cannot be forgotten. Thank you again. We are sure to use you next year and the year after and the year after that!... until 120! I wish you tremendous success in your juggling endeavors. Thank you for the show. He's a good boy but I wish he'd find a job in hi-tech.